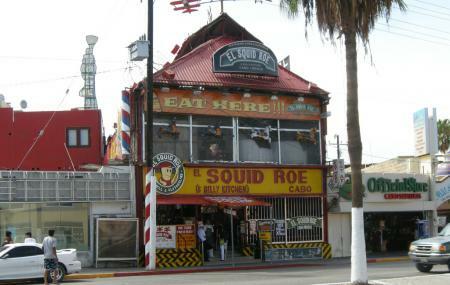 Get ready for the inner child in you to show up, El Squid Roe is the most fun place in Cabo! Foot-tapping music that includes popular songs from now and before has you on the floor the minute you reach this place. This place is almost always crowded but that is the charm of it. Some tables have their own poles where you are encouraged to show off your dancing (and balancing) skills. The staff is fun and encouraging and the cocktails keep you going all night. There is no cover charge to enter. Travel by rented bike or walk here. How popular is El Squid Roe? People normally club together Giggling Marlin and Medano Beach while planning their visit to El Squid Roe.